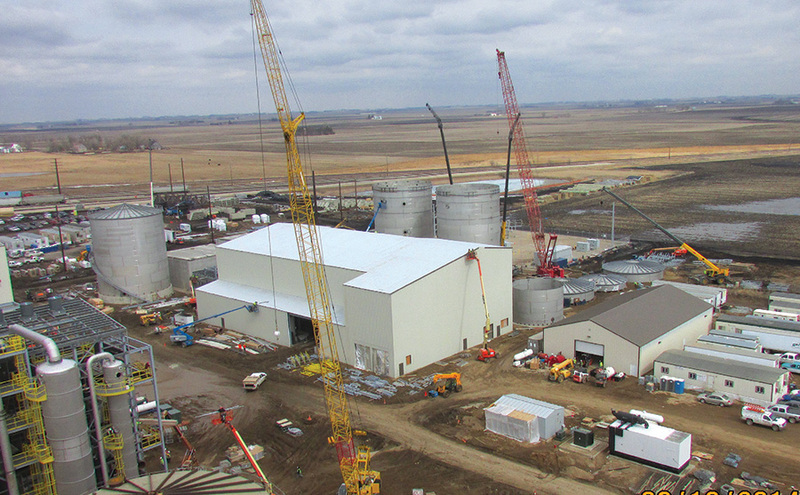 Project LIBERTY, the POET-DSM Advanced Biofuels commercial-scale cellulosic ethanol plant near Emmetsburg, Iowa, is entering the final legs of construction. 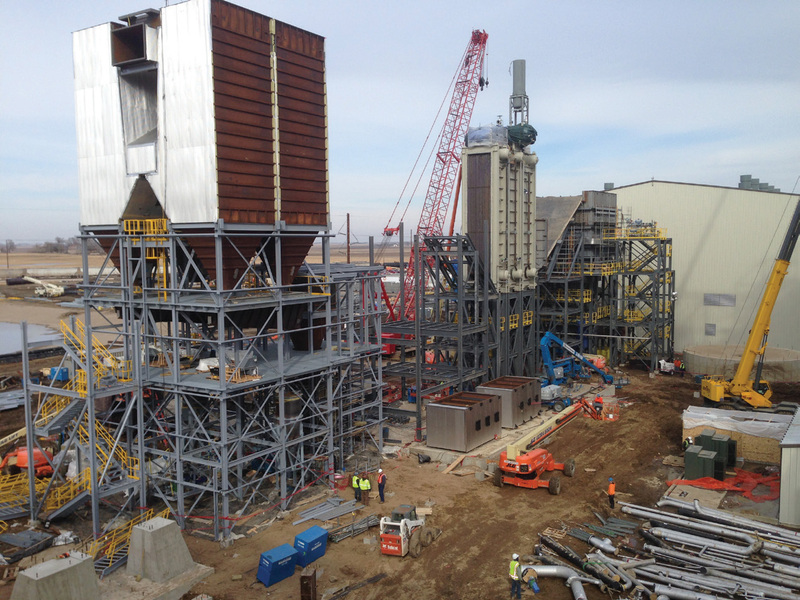 Construction will wrap up and the plant will begin processing corn cobs and stalks into cellulosic ethanol shortly after. 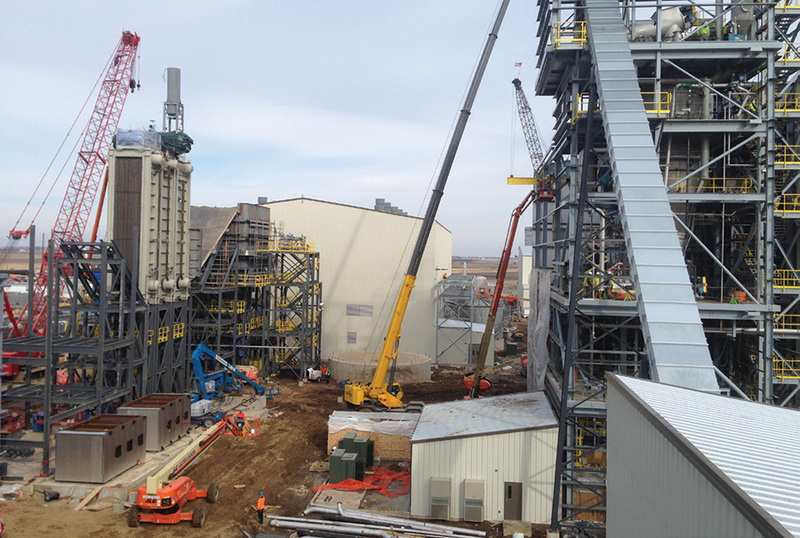 Though there is still much work to be done, the reality of cellulosic ethanol is just around the corner. 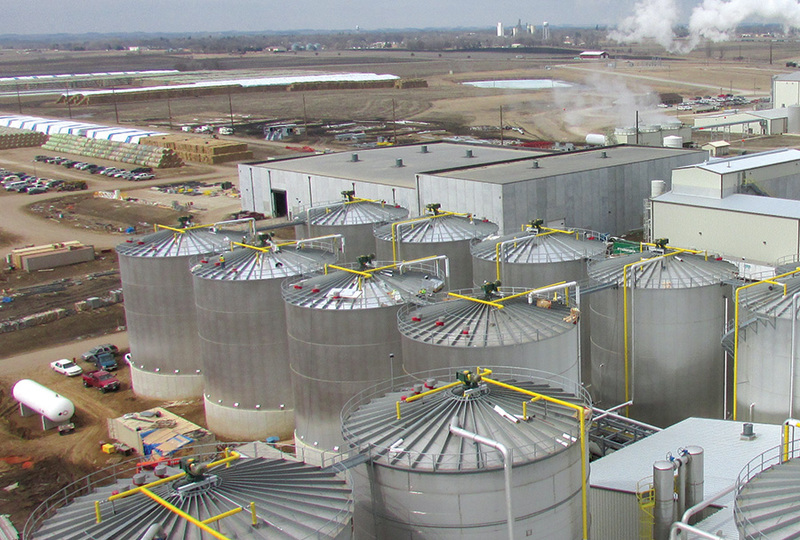 The ethanol distillation system is to the left with the Anaerobic Digester/Biogas. These areas are nearing completion in the coming weeks. This is the front end process of LIBERTY. Mainly visible is the concrete Biomass handling building and the conversion tank farms. Construction is complete in these areas. The pretreatment system is nearing completion within the next month. 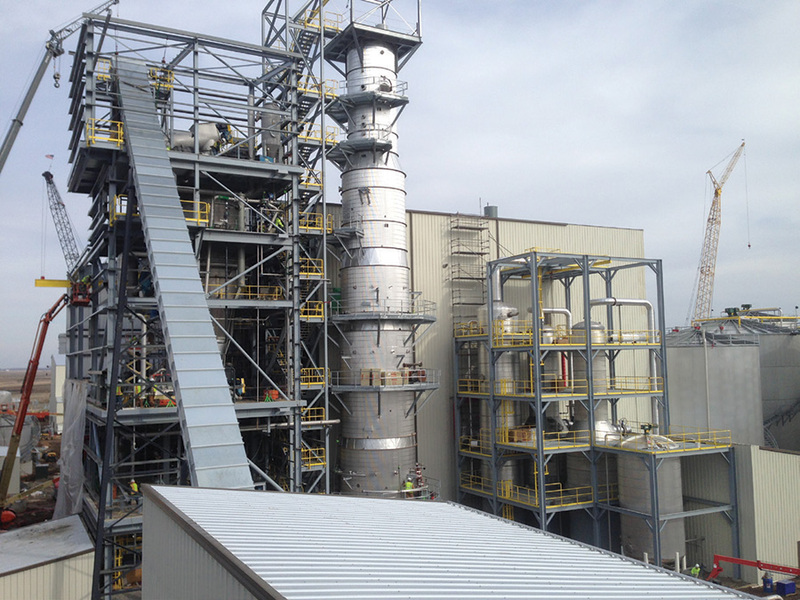 The pretreatment system is to the right and the Solid Fuel Boiler to the left. Construction is ongoing and will be wrapping up in the coming weeks. The solid fuel boiler construction is ongoing.